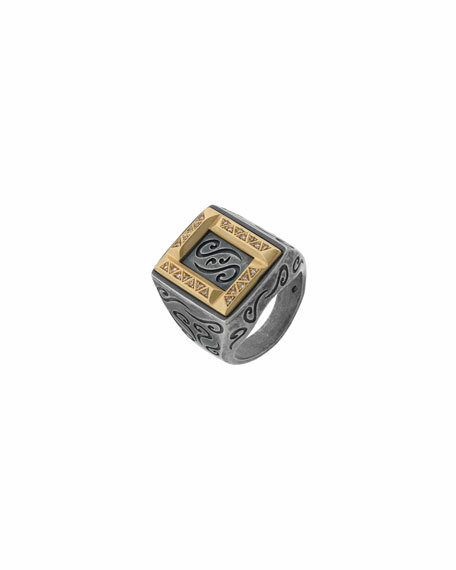 Marco Dal Maso men's ring from the Ara Collection. Oxidized sterling silver with 18-karat gold plating. Signature etched details at shank and center. Champagne diamonds in triangular settings. This collection represents evolution and growth. Each Ara jewel has been designed with soft yet strong fluid lines, which reflect the connection between our abundant pasts and unrevealed futures.